Blue Monarch allows children under the age of 12 to live at Blue Monarch with their mother to recover together as a family. Many of the children who come to Blue Monarch have lived with significant dysfunction, possible abuse or neglect, exposure to drugs or violence, and-- at the very least-- a missing sense of security. It is astounding the dramatic difference in children’s behavior when they feel safe, have a predictable routine, and know that mom will be there for them every morning. The children of Blue Monarch learn what it means to grow up in a loving, Christian home. They attend church regularly, say the blessing before every meal, and say prayers with their mothers. We feel very strongly that the longer a child stays at Blue Monarch, the stronger foundation he or she has to establish his or her own Christian home one day. We like to say we are changing the family tree. But it’s through God’s tremendous grace that the children of Blue Monarch become stronger, happier, and healthier. Dodie Bishop's Let Kid's Be Kids! In March of 2015 we added Blue Monarch Pen Pals! The children of Blue Monarch often come from extremely traumatic or unsafe conditions, and may never have had the stability of a grown up who was always available to them. At Blue Monarch, we strive to create stability and normalcy for our children and give each child the childhood that was perhaps missed. By writing to our Blue Monarch kids, you can give them a fun surprise every other week and let them know that people are praying for them and encouraging them along the way. In addition, this program helps to develop our kids communication skills and encourages a sense of gratitude in them. Blue Monarch, a 501 (c) (3) non-profit, provides a residential and therapeutic Christian community for women and their children to break adverse cycles and rebuild their families. 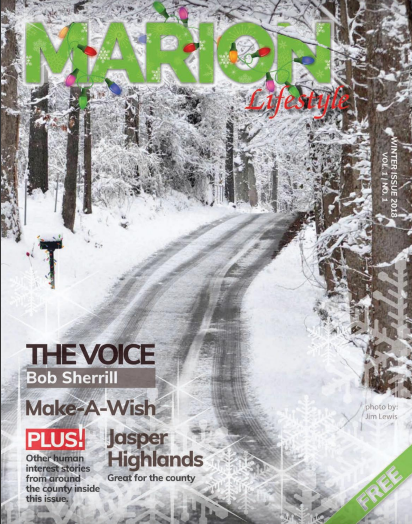 Marion Lifestyle highlights Blue Monarch in a feature article for their very first issue. Dive into our 15 year journey restoring hope and breaking destructive cycles of abuse and addiction. Join Giving Assistant now to shop, save, and support Blue Monarch. Easily donate 3-30% of purchases from stores like Macy's, Best Buy, and Lowes.